Hothouse 2017/18 is a project partner-shipped with the Ombudsman for Children’s Office. 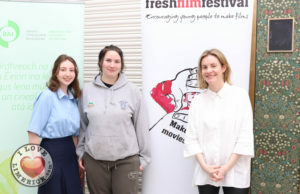 The premiere of new short films in the Fresh Film Festival to mark the 25th anniversary of Irelands Ratification of the UN Convention of the Children rights. Fresh Film Festival offers filmmaking projects on an ad hoc basis. Previous projects include working with The Limerick Learning Hub and Glor Theatre on filmmaking summer camps, a short film titled Teaching Miss Verbiest with Kerry County Council as part of the percentages for Art and The Big City Portrait with the Limerick City of Culture. This year, the Ombudsman for Children’s Office developed a unique creative partnership with Ireland’s premier young film-makers festival as part of its 25th Anniversary programme, Hothouse 2017/18 celebrating and raising awareness of children’s rights across Irish society. In November 2017, the 7 young filmmakers were invited to respond to the UN Convention on the Rights of the Child and create new short films reflecting their voices and views on children’s rights and to capture their experiences of ‘rights in reality’. 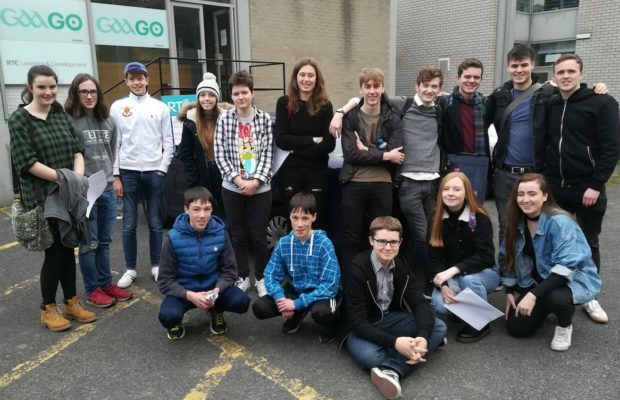 The films will feature on the OCO website as representing young people’s responses to rights with the aim of highlighting awareness of children’s rights across Irish society and get more young people talking about their rights. The process included a masterclass with John Butler in RTE and a rights awareness workshop with the education/participation team at the OCO. 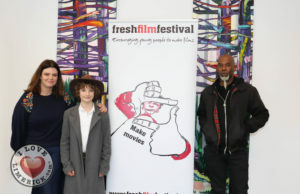 Whilst mentored by Fresh Film, the final self-directed films are young people’s work demonstrating practical (budgeting, sourcing equipment, talent and locations), creative (ideas development, script writing) and technical (scoring, editing) skills. This project is co-funded by The Arts Council and RTÉ learning and Development & The Office for the Ombudsman for Children. The young filmmakers aged 15-19 years old have chosen a wide variety of rights including the rights to identity, education, living with your parents and the right to be alive and explore issues such as physical and emotional abuse, discipline and bullying in school. A number of the films highlight rights children may have but are unaware of and the effect of an absence of certain rights on children and young people – almost all challenge our understanding of rights as universal and interlinked. The premiere of new short films by young filmmakers to mark the 25th anniversary of Ireland’s ratification of un convention of the rights of the child. The Ombudsman for Children’s Office with Fresh Film Festival and RTE are delighted to announce the premiere of 7 outstanding short films at Lighthouse Cinema, Smithfield, Dublin. 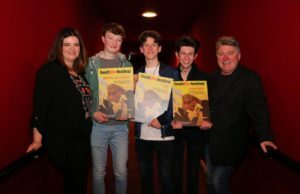 Suzanne Kelly, RTE Head of Young People’s Content told that RTÉ is delighted to extend our continuing support for the Fresh Film Festival and its 2018 Hothouse initiative. “In RTÉ we as content makers, absolutely recognise the importance of nurturing young talent. Therefore the support network that Fresh provides for young filmmakers cannot be underestimated. Fresh provides a dedicated creative hub where young people can engage, talent is developed and then vital opportunities are given to help them take their first tentative steps towards filmmaking. ” said Suzanne.